A problem bus stop built years ago and paid for then by Longridge businessman Harry Riding could be brought into the 21st century if council plans go ahead. The stop, which is also in a conservation area, sits on the junction of Southern Close with Preston Road. Its run-down condition has been the subject of many complaints as it has given rise to anti-social behaviour. At its meeting last week, the town council heard that Ribble Valley borough council had cleaned the stop a few times recently, but it continued to be a problem due to the behaviour, and to the state of the existing stone structure. Coun Jim Rogerson recalled a ‘hoo-ha’ over it two years ago with it being in such a special area. “It is now not fit for purpose and should be replaced with something suitable, similar to the existing stone structure” he stressed. There was also a plaque attached to the bus stop, detailing its being financed by Mr Riding, and this would also need renewing, the council heard. 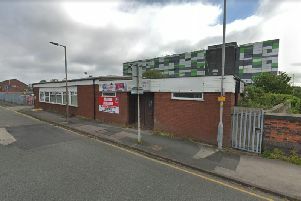 A suggestion before the meeting was that the best course of action would be to demolish the existing structure and replace it with something like a standard cantilever type bus stop. The work would cover several issues. It would reduce the anti-social behaviour as it would be more open to the elements. It would reduce maintenance costs as it would be easier to maintain, repair and clean. Users of the bus stop would still have somewhere to shelter. Councillors decided to check with the borough’s conservation officer, Adrian Dowd, and then make the decision on the best course of action for the facility.